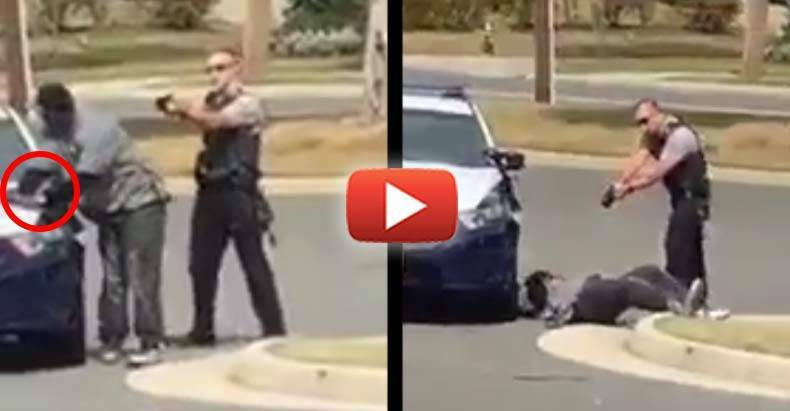 Fairfax, VA — A use of force review is underway by the Fairfax County Police Department after a video surfaced on Facebook showing one of their officers tasering a submissive man. In the brief video, a man is seen complying with the officer’s commands. However, as he turns around and places his hands on the cruiser, the officer deploys the taser into his back, sending the man collapsing into the pavement. “He did not try to run or nothing. That was wrong. How the police, unless he was wanted. But if he was wanted, the guy didn’t have to Taser him like he did,” said a witness. The man who shot the video wishes to remain anonymous, for obvious reasons. Multiple witnesses claim that the officer’s actions were unnecessary, and the video supports them. One witness said that it is incidents like this one that makes people distrust police. “As soon as the Chief was alerted that this video was out there in existence he ordered internal affairs to conduct an inquiry,” said Lt. Brooke Wright, with the Fairfax County Police Department. Wright says that the officer was investigating reports of theft and that the man in the video was later arrested but does this warrant immediate punishment by a police officer?